Thousands in use and are now being sold at almost double the price. Smartly finished in chrome w/black & red pattern. Has LUCITE head which bends the light in the bore. Sorry No COD's WESTCHESTER TRADING CO. 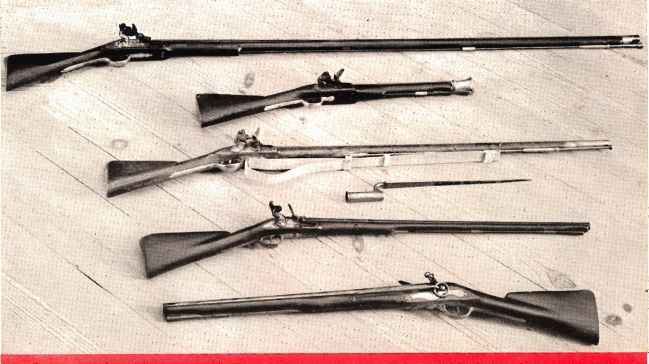 These superb revolvers made by Royal crown arsenals JV purchased directly from British Air Force Ordnance. As no expense was spared in outfitting R.A.F. pilots, these are the cream of British service handguns. 6-shol revolvers, double and single action with broad hammer spur for easy single action shooting. 5" barrels, lanyard rings, ordnance tested and stamped with British Crown and Broad Arrow acceptance marks. These guns were almost never fired. Condition very good, mechanically perfect. Civilian equivalent value about $70. Fires standard U.S. .38 S&W ammo. AMMO: 50 rds., $3.50. ORDER ON FREE TRIAL! 10 day money back guar. Send check, cash or M.O. $5 deposit for C.O.D. Shipped F.O.B. Los Angeles. In Calif, only order through your gun dealer. Dealers inquire. 11029 Washington Blvd. Culver City 54, Calif.